With CoolSculpting, you must have areas of fat large enough to “pinch”, due to the fact that a specialist will use a suction-based application wand to engage both the skin and fat into the applicator. Once suctioned into the hand piece, a cool sensation will occur while the fat cells below your skin are frozen. Once the cells are frozen, your body will naturally eliminate the cells over the course of a few months. Conversely, Sculpsure works by delivering heat energy, targeting the fat cells through a laser applicator that lays flat against the skin. Due to this flat applicator, patients do not have to have “pinchable” fat, and can treat either more targeted areas, or larger surface areas at once. Likewise to CoolSculpting, the treated fat cells will eliminate from the body over time. However, unlike CoolSculpting, an added benefit to Sculpsure is tightening of the skin, as a result of the heat treatment. The procedure time depends on how many areas you are having worked on at once. For CoolSculpting, the applicator is only able to eliminate cells from one area every hour, making it a longer procedure with every additional area. 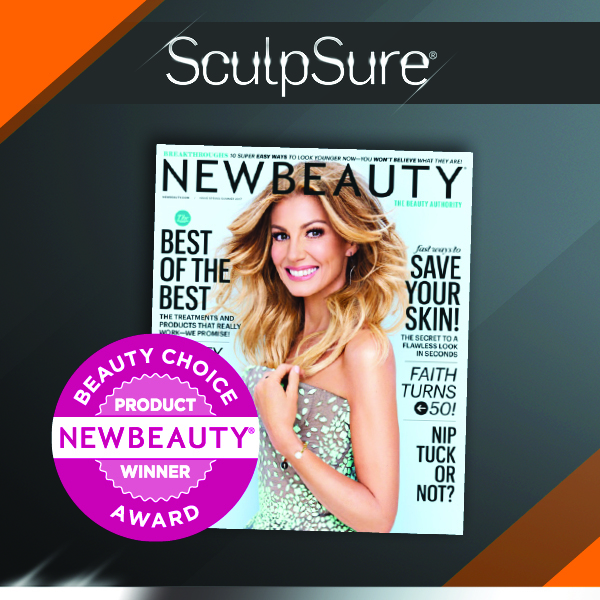 Again, Sculpsure uses a completely different process, allowing multiple applicators to work in unison, treating more areas at one time. This, along with the fact that fat heats faster than it freezes, cuts the treatment time down by almost 75%. With more applicators working at once, and faster cell destruction rates, Sculpsure can accomplish successful treatments in as little as 25 minutes. While both CoolSculpting and Sculpsure are FDA approved, non-invasive treatments, the process in which they are performed do result in slight differences in regards to recovery. For CoolSculpting, some patients have minor bruising and discomfort, mostly from the suction of the applicator necessary to treat and freeze the fat cells. In rare cases, patients have reported nerve damage, which experts contribute to the extreme cold of the treatment. Sculpsure patients have reported mild tenderness occasionally; however there have been no reports of bruising or substantial pain. Both treatments allow you to return to normal activity immediately, with gradual- but permanent- results of fat loss to the targeted areas. In the end, both treatments offer lasting fat cell loss without invasive surgery, downtime and substantial pain. Due to the rapid treatment times of Sculpsure, it tends to be the better option for patients, allowing them to save time- and as a result, money- by getting more done at once. It’s important to discuss all options with your physicians to have a better understanding of how these treatments and others can deliver the results you are looking for.